Home Afro History	Today in Afro History ! 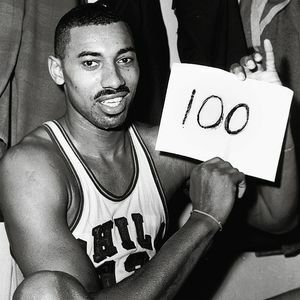 Wilt Chamberlain scores his 30,000th point in 1972 ! Joe Frazier knocks out Jimmy Ellis to win World Championship Title in 1970 ! Today in Afro History ! George Foreman defeats Joe Frazier in 1973 ! Today in Afro History ! The “New York Renaissance” aka ” The Harlem Rens “an all Afro American pro basketball team was established in 1923 ! Joseph L. Searles III becomes the first Afro American member of the New York Stock Exchange in 1970 ! Why is Minneapolis' music so amazing?